The previous gold making trick requires lots of Volatile Water. While it may not be as profitable to farm as some other Volatiles, they are expensive on some realms. This post should be useful if you're on one of those realms and do not know what's an efficient farming spot. Like most Volatiles, also Volatile Water has a fairly low drop rate of 10-18%, depending on where you are farming. Usually it's not worth it to farm these, as their average price has dropped dramatically. Nowadays it wouldn't be surprising to see a stack of 250 go for less than 300 gold on the more popular realms. Still, I promised to cover all Volatiles so here we go! There's no point farming instances for Volatile Water. These drop only from a couple of monsters in Throne of The Tides. Because of the low average price and high availability on most realms, it's not wise to flip any Volatile Waters, unless you're sure they have been more valuable recently. Volatile Water can also be obtained by Fishing. 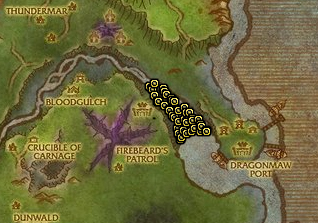 The most popular waters are in Uldum and Twilight Highlands. These are fished from open waters and pools. It can also be obtained from Mining nodes in Cataclysm zones. 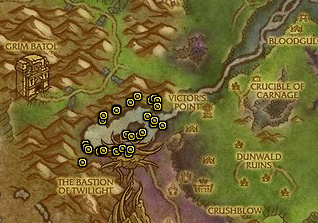 Mainly Elementium nodes contain Volatile Water from time to time. Alchemists can also perform the Living Elements Transmute, which turns Volatile Life into other elements, such as Water. To get a watery result, you must be in Vashj'ir when transmuting. This is always the most favored farming style. No gear or skill is required, except if you run into the opposing faction which often happens when farming Cataclysm trade goods. This is one of the reasons why it's better to farm TBC trade goods instead. Less time spent on pointless battles means more gold earned! Here's the Top-3 all time favourite (Non-elite) mobs for Volatile Water farming! Keep in mind that all of these monsters have a 10-14% chance of dropping 1-3 Volatile Water, meaning you could get 120 in a hour or as little as 15. 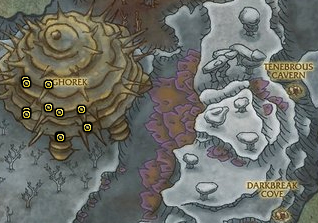 If you liked this wow gold guide, don't forget to share!